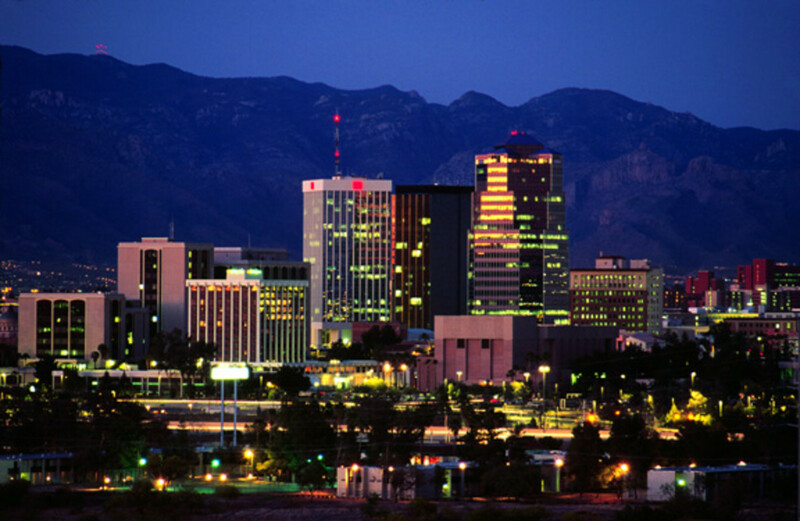 Yuma Crossing was named for the Yuman Indian Tribes in the area of what is now Southern Arizona along the Colorado River. 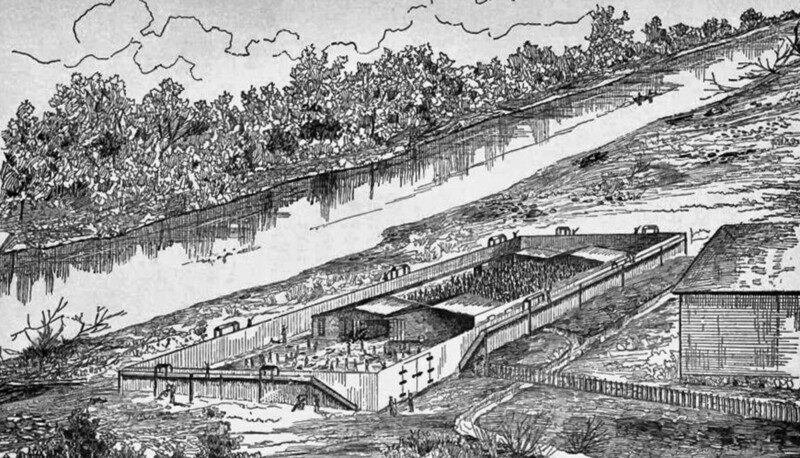 For years, the Spanish had used the area as a good place to cross the Colorado River, and in 1849 a booming ferry business brought fortune seekers traveling to the California Gold Rush to the Crossing. 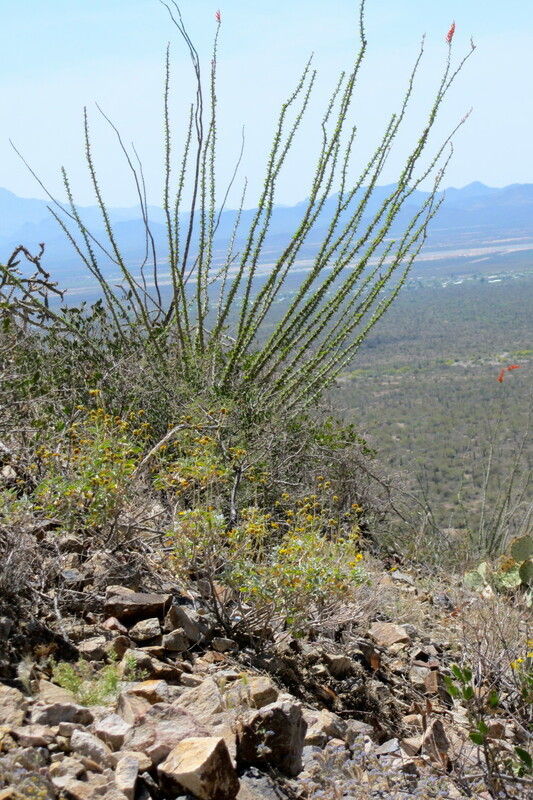 When relations with the Quechan Indian tribe became troubled, Fort Yuma was established. 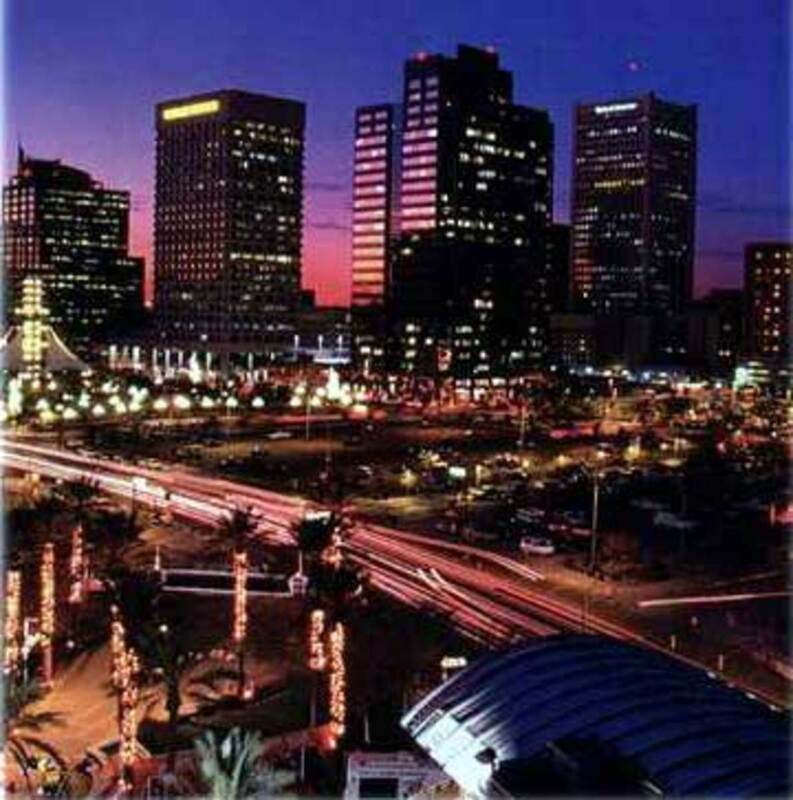 By 1870, Yuma had become the second largest city in the Arizona Territory. 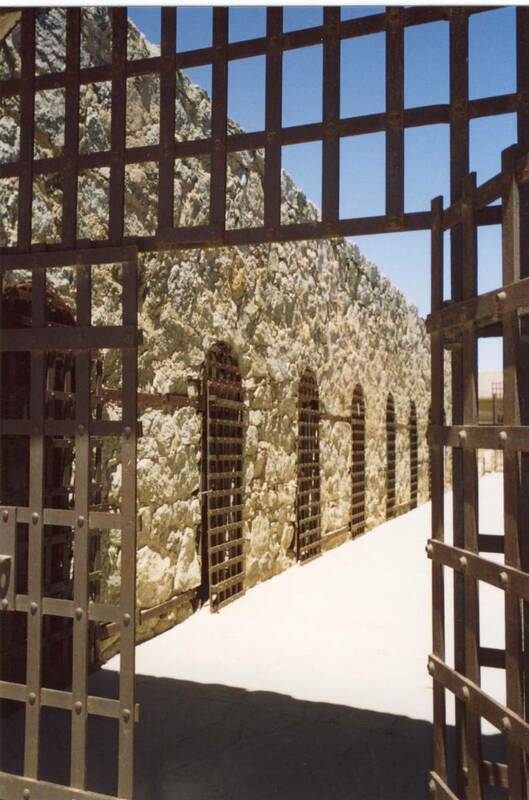 The fierce heat and the rugged terrain around Yuma made it a perfect choice for a prison. In 1875, The Arizona Territorial Legislature acting on the advice of Territorial Governor Safford, approved $25,000 for the construction of a prison that originally was intended to be built in Phoenix, but after some trickery where the word Phoenix was changed to read Yuma on the legislative bill, the corner stone was laid in 1876 and the prison was under construction. The fierce heat in Yuma allowed that almost immediately, the prison became known as "The Hell Hole." It's hard to imagine it today, but the prisoners themselves were forced to make adobe blocks for their own cells. The prison opened on July 1, 1876 with seven prisoners. For the next 33 years, the prison would be home to robbers, murderers, gamblers, cattle rustlers, gunmen, rapists, those who had sold liquor to Indians, and polygamists. Twenty nine women, of whom the best known was the notorious stagecoach robber Pearl Hart, and 3,040 men served part or all of their sentences there. Pearl Hart caused a prison scandal when it was rumored that she was pregnant, and supposedly only three persons had a key to Pearl's cell and one of them was the prison superintendent. 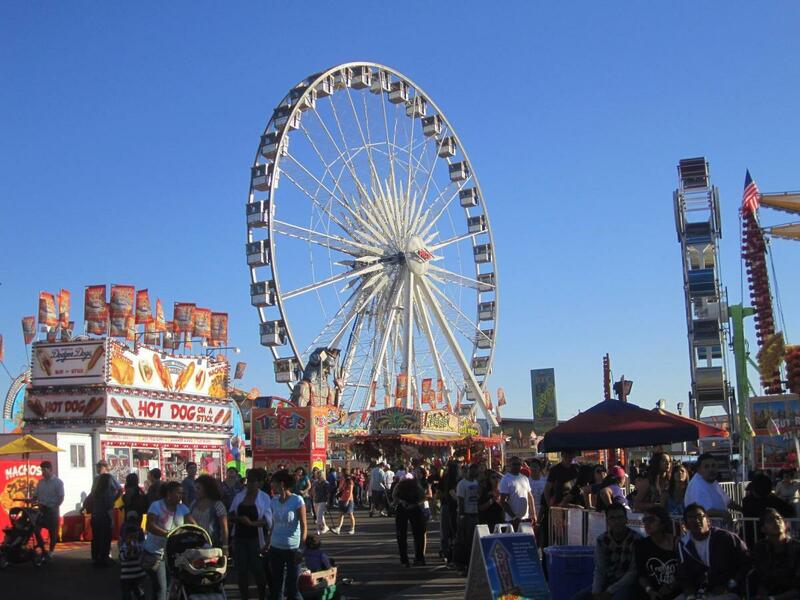 She obtained an early release on the stipulation that she leave Arizona. Since no records have ever surfaced that Pearl ever gave birth after her release, it's possible that Pearl had managed one of her greatest cons. Another female, Elena Estrada, was sentenced for cutting the heart out of her unfaithful lover. Many prisoners received pardons after two or three years. Some such as convicted murder, William H Hall who received a pardon after 3 years, never learned and made two return appearances. Or perhaps the parole board had trouble learning too? Records show the youngest prisoner was 14, and the oldest 88. A total of 3,069 prisoners, both American born and foreign born served their sentences in the "Hell Hole." Each 9 by 8 foot cell held six men who were forced to share a bucket for a toilet, There wasn't a wash bowl and no other furniture except for the iron bunks. 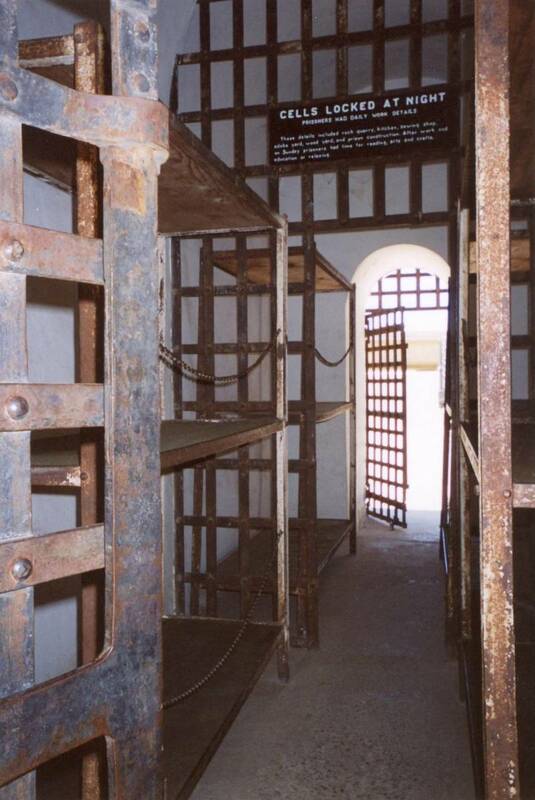 (Those with iron bunks were fortunate, because in the first days of the Prison when the bunks were wooden bedbugs made life even more uncomfortable.) Temperatures sometimes reached 120 degrees in the summer months and the cells were unheated during the winter months. Historical records commonly agree that the food served was wholesome (all on .$.38 per prisoner per day), and the prisoners were permitted to talk during meal times. Prisoners were allowed personal grooming items and given a ration of tobacco. Surprisingly, the prison was outfitted by electricity run by a generator by 1885 and a telephone was installed in 1891. A hospital facility was added in 1902. Prisoners who behaved were given jobs in the blacksmith shop, stables, mattress factory, tailor shop, shoe shop, kitchen or on the prison farm. The farm never was a very successful enterprise even though 2,100 acres had been set aside because only a small portion of it was usable. 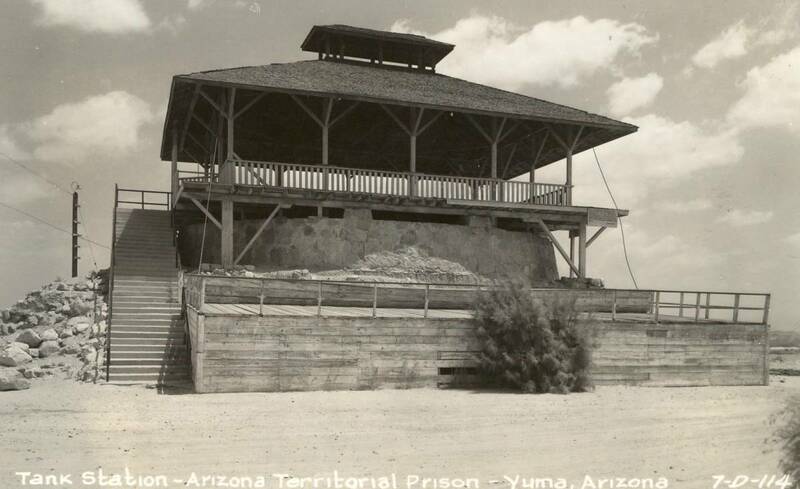 Since Yuma is such a dry climate, prisoners formed a bucket brigade to provide water from the river. The prisoners who worked in the tailor shop and shoe shop crafted clothing for the other prisoners and for those living at the Insane Asylum in Phoenix. Trouble makers broke rocks or made adobe bricks in the sun. 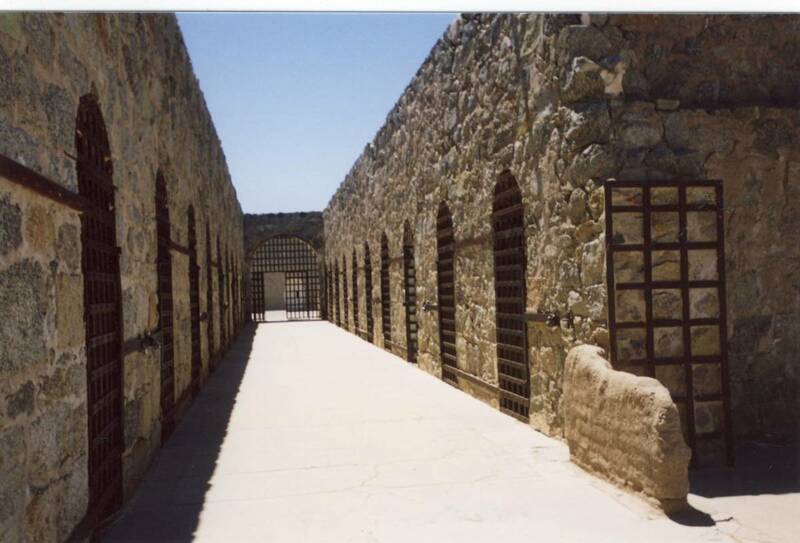 The adobe bricks were used to build at the prison, but the extra adobe bricks were sold to the townspeople. Work hours were 8 hours daily, with Sundays exempted. Those prisoners who continued to break the rules were placed into a solitary 10 by 10 foot space called the Snake Den." They would be chained in total darkness, without a toilet, blanket or bunk. The food in solitary was literally bread and water. Some prisoners charged that the guards would drop snakes, and scorpions into the "Snake Pit." It became known that several prisoners died of snake bites. While it's true that at least one prisoner died from a sidewinder's bite, and rattlesnakes are known to crawl into dark places, the stories told by prisoners seem a bit exaggerated. Escape wasn't an option. Getting past the guards that were armed with Gatling guns which had the capacity to fire multiple rounds was probably the easy part. 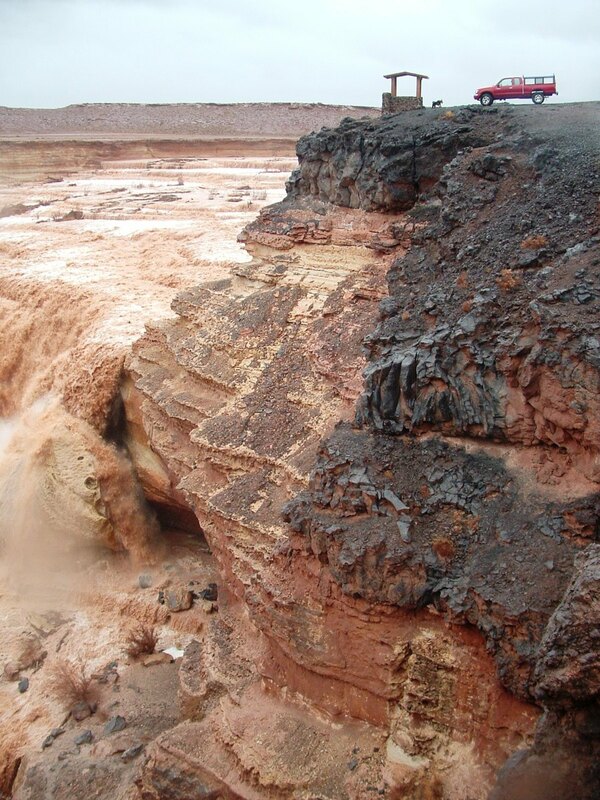 The Colorado River was north and miles of burning desert and sand awaited any prisoner who attempted an escape to the south or east. While a few claimed to have escaped from the "Hell Hole." No accounts were ever documented. Eight prisoners died in escape attempts. Overcrowding was continually a problem and ongoing construction of new cells continued. Some say that during the years the prison was operating, Most of the 111 prisoners who died during their time at the prison, died from diseases such as tuberculosis, typhus, scarlet fever, smallpox, escapes and a few committed suicide. Many are buried in the prison cemetery. By 1907, plans were underway for a new prison in Florence, and the last prisoner was transferred from Yuma in 1909. The prison had been in operation for 33 years. For a time, the former prison was used as Yuma's first high school after a fire where the high school burnt down. 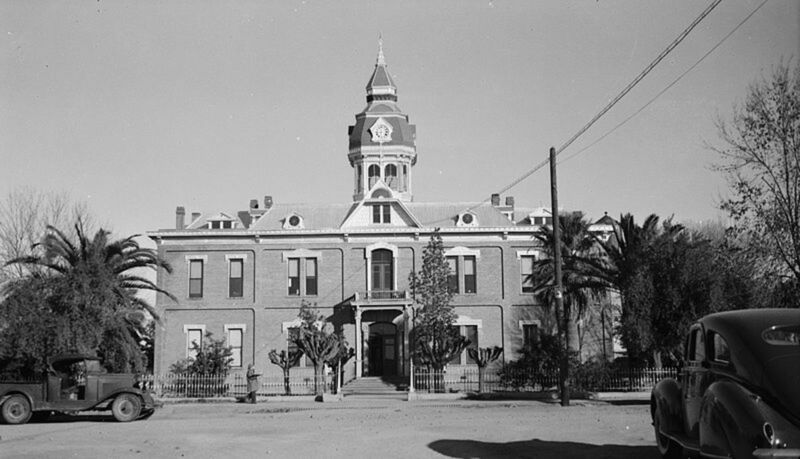 While the high school moved to a regular school building over one hundred years ago, the high school teams are still called the Yuma Criminals. Various clothing bearing black and white stripes has been popular for years and the high school store is called The Cell Block. Destitute people traveling from the Dust Bowl in the mid-West to California seeking work were allowed to stay at the former prison during the Great Depression Era. Today, the old prison is an Arizona Historic Park and Museum. The museum (built by WPA labor) holds many artifacts and photos of the former prisoners. Information about visiting hours can be obtained on the Arizona State Parks website. Great place for a Halloween fright movie, for sure. Thanks for comment. Hey, Ive been to Yuma Prison and boy is it scary.